Funnycar with TxW Mod – TxChemist************Winning is fun! 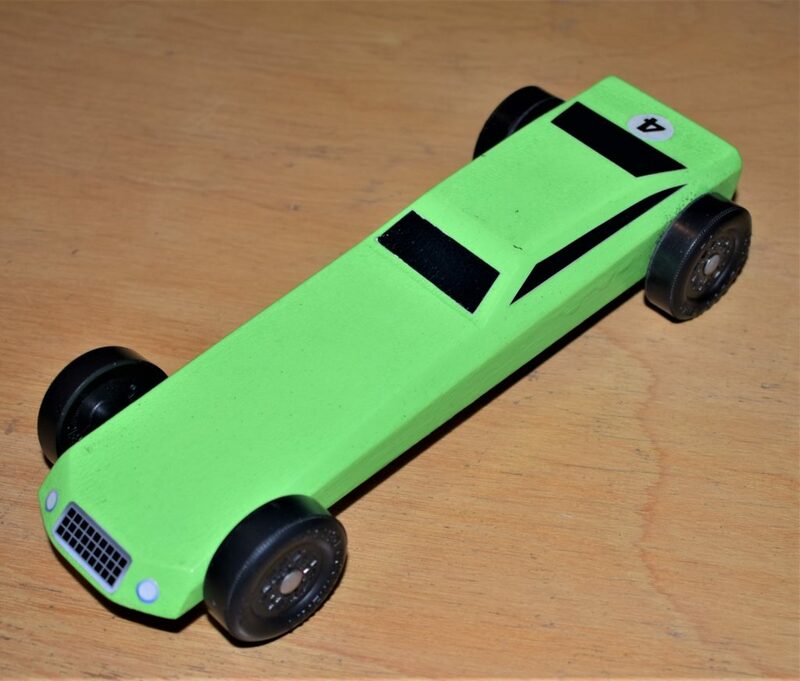 A TxW modified Funnycar body, with a notch and a surface for two small plates on the back all done for you. The tungsten alloy weights: 2 oz tungsten bar, and two 0.25 oz small plates for 2.5 oz of weight behind the back axle, just enough weight to bring the car up to 5 oz. 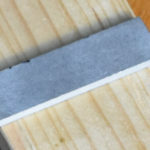 Aluminum tape to hold them all in place. 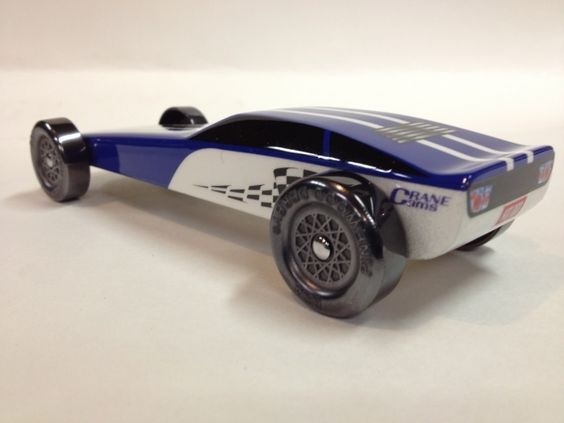 The Funnycar from PineCar is one of the most aerodynamic designs available. It needs an additional 2.5 oz of weight added to it to bring it up to speed. This can not be done without considerable work. If you add zinc or steel weights, you can not move the center of gravity (COG) back very far at all. You must have a way to carve out the insides of the bottom of the car to insert the zinc or steel and that almost covers the entire bottom and does NOT move the COG much. If you do not countersink these weights, they will drag on the track and you will be lucky to get to the finish line. 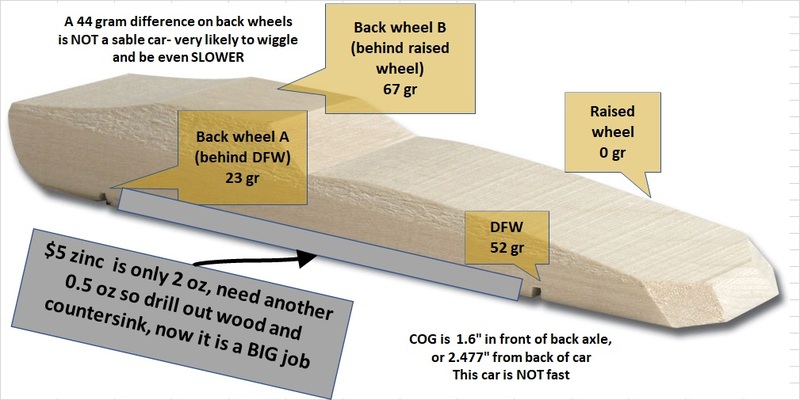 Another problem is created because the COG is on the middle line of the car and most of the weight is balanced on only two wheels. You can see this by putting a scale under each wheel. This is unstable and can give the car the “wiggles” as the weight shifts from one back wheel to the other as the car bounces down the track. The “wiggles” will make your car very slow. PineCar even has their own design using threaded tungsten cylinders that can be placed in holes drilled into the car. 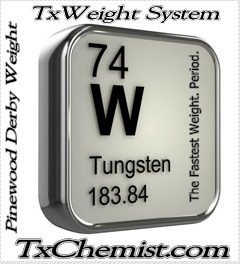 If you do not have the tools and experience of making many cars, you do not know that even with tungsten used in this way, the COG is not moved as much as if you were to use bars and plates of tungsten in a better design created by TxW Txchemist. 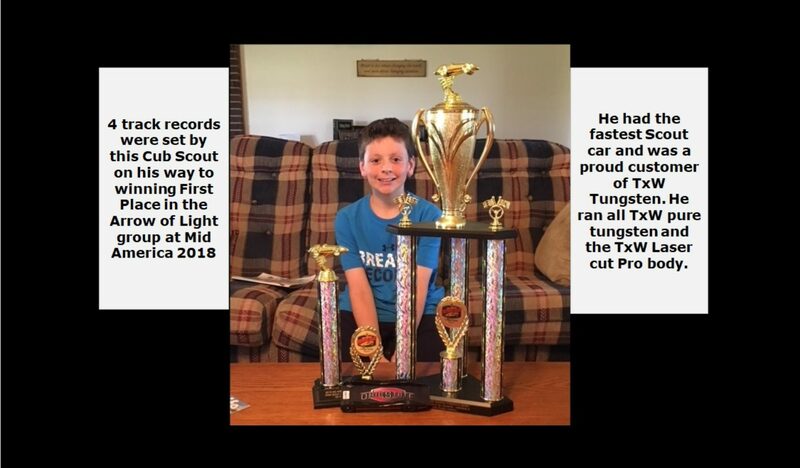 Created for the Pro racers ( who continue to set world records each month with TxW tungsten and car body designs) it can now be incorporated in the Funnycar block for you. The tungsten alloy weights: 2 oz tungsten bar, and two 0.25 oz small plates for 2.5 oz of tungsten. Drill axle holes or use the existing slots. 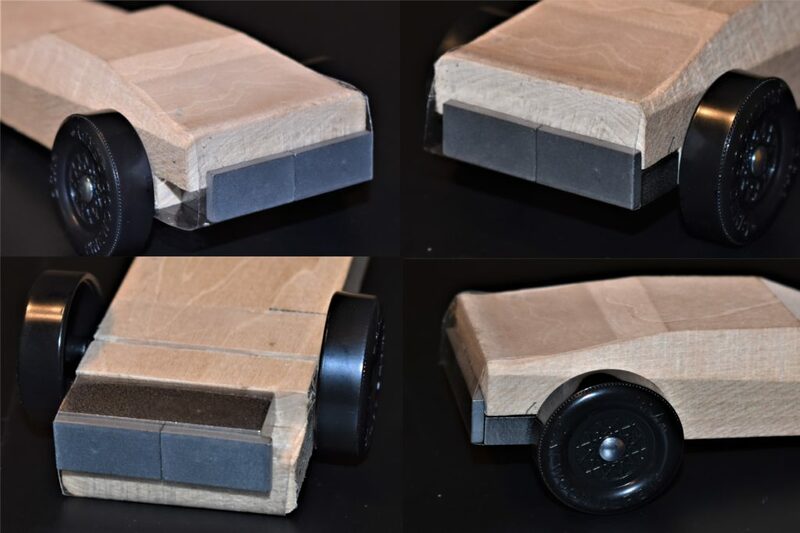 Narrow the nose to get your rail riding wheel on the rail and the back wheels centered on the track, typically 1/16″. Sand & paint car to your own design. Prepare our own axles & wheels and attach them to the car. Txchemist modifies the body to take a large tungsten bar and a few tungsten plates that are held in place with aluminum tape. The combined weight is shifted to the dominant front wheel (DFW) side to more evenly distribute the weight on the back two wheels while moving the COG very far to the back. The photos below show the weights held with clear packing tape so you can see where they go. The weights are moved to the right side of the body where the DFW is. This leaves a little gap on the other side that you can put a small wood plug in if you want to have the back look solid all the way across. The actual finished car would use aluminum tape to cover and hold the weights. The back of the car has been cut so that after the small plates are on the back, the distance to the end of the nose of the car is exactly 7 inches. 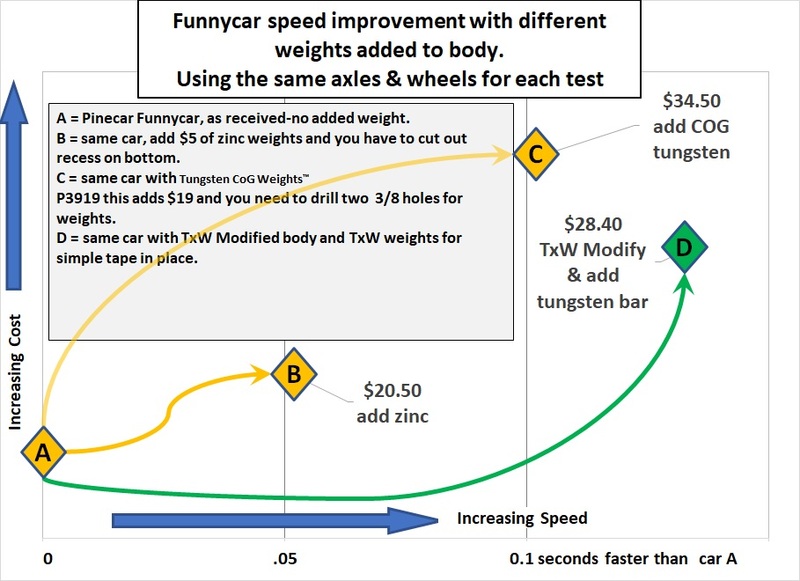 Below we have four speed tests of our funnycar. The prices are suggested from the manufacturer with shipping charges. 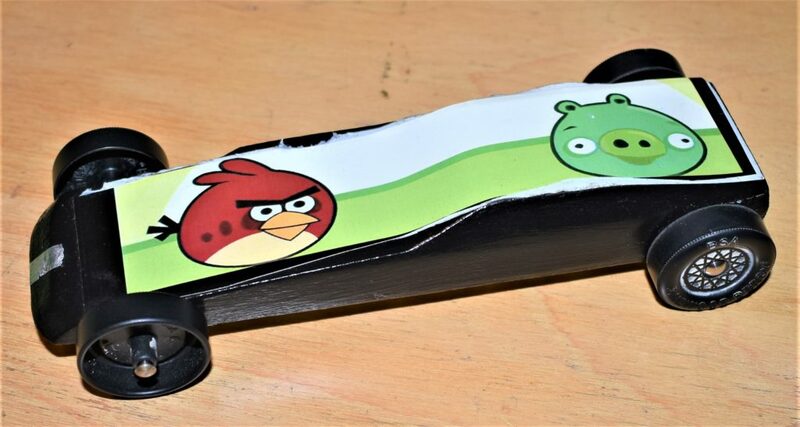 The best speed/cost design is the TxW Modified that comes with the weights and tape to put them in place after you attach the axles, wheels and paint it. A few finished car concepts. We ship every day Monday – Friday for one day fast shipping. We hope you will love your purchase, however if you need to return it, we have a 30 day FREE return policy.